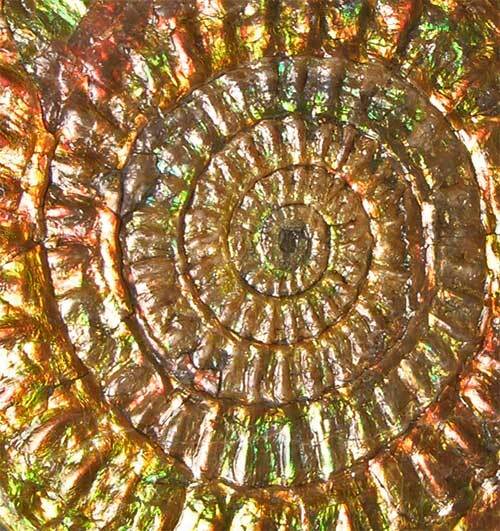 This natural irridescent ammonite is absolutely amazing. The colours include luminous greens, reds, orange's, blue's purple's and yellow's. 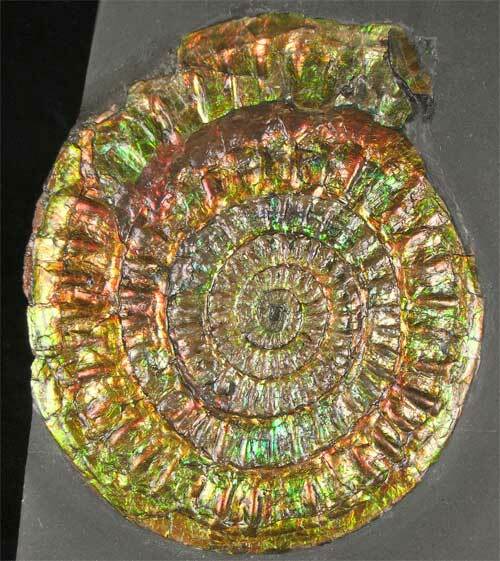 The ammonite itself was collected many decades ago and re-prepared by Andy Cowap. 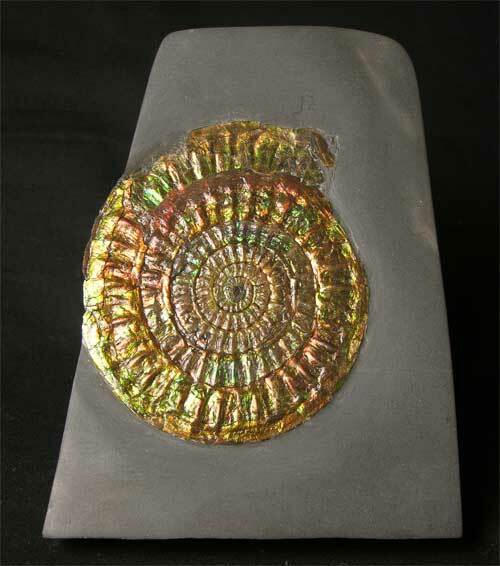 The matrix has also been carefully prepared unlike many caloceras for sale elsewhere where the matrix has been painted grey to hide the insertion of the ammonite. 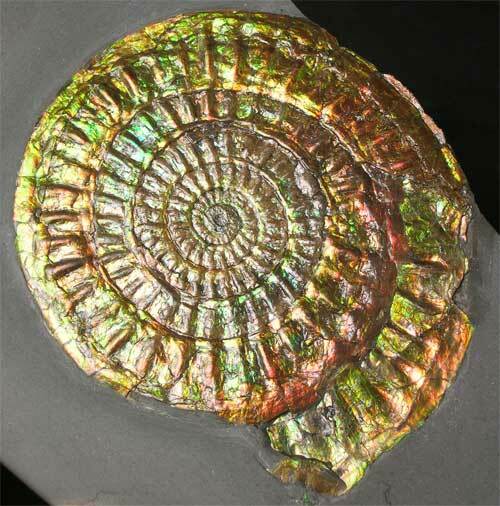 Watch out for composite fossils !! The matrix has a level base for ease of display. Approximately 205 million years old.